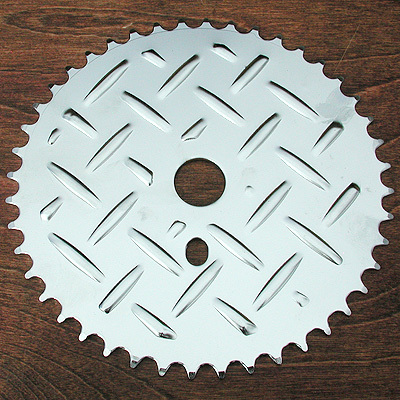 This is a Custom Chopper Checker Plate Sprocket 44 Tooth. Cool Design, Nice sprocket, Chrome, 44 Tooth, Typical Adult 26" Cruiser Bikes Size. 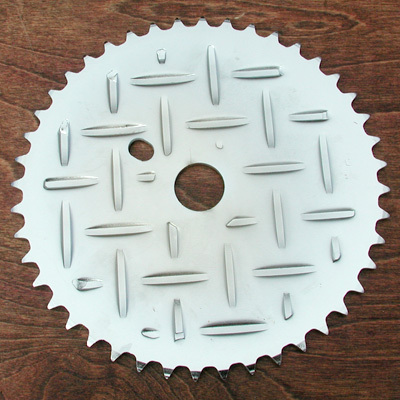 Sprocket is for single speed bikes with 1/8" width chain. This part is Perfect for your Vintage Schwinn Bicycle Restoration or Custom Chopper Lowrider Cruiser Project.